I thought other than the famous stall down in the town area selling Tang Yuan, there were no other stalls selling this yummy dessert, other than on some auspicious occasions. 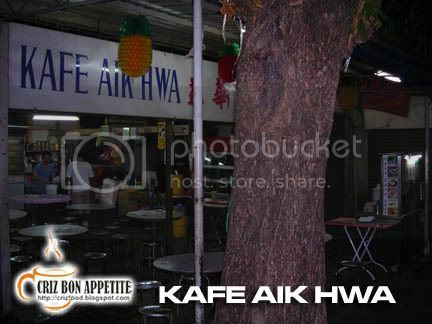 CK Lam from What2See pointed out that there is another stall down at Perak Road area. 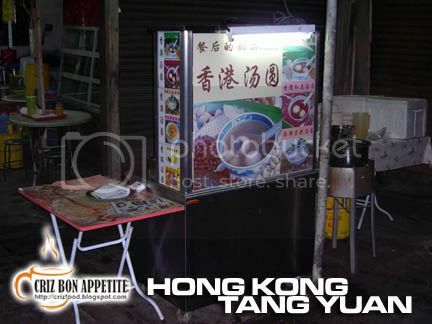 This stall is selling Hong Kong Tang Yuan, much cheaper than the ones we get from HK Wong Kok Restaurant. 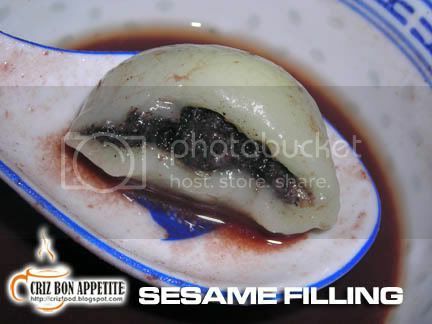 Each bowl of Tang Yuan comes with two filled Tang Yuan (Peanut & Black Sesame) some smaller Tang Yuan and gingko nuts. 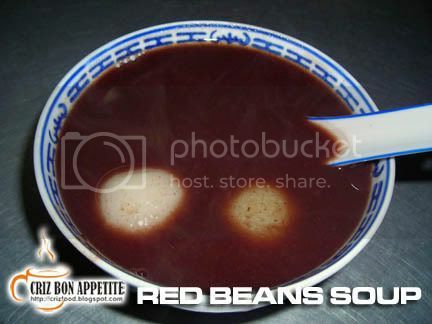 You can opt for different soup base such as ginger, kooi hua, soy beans or red beans. All the soups are not too sweet. It is suitable for elderly people and children. The filling for the Tang Yuan is blended very fine, so is the red beans for the soup. The pricing is very reasonable as each bowl cost only RM2.50. Other than serving Tang Yuan, there have a few varieties of Jelly for you to choose from. The shop is close on Monday and Friday. On Friday, you can get them at the Pasar Malam (Night Market) just opposite the stall as early as 6.30pm. 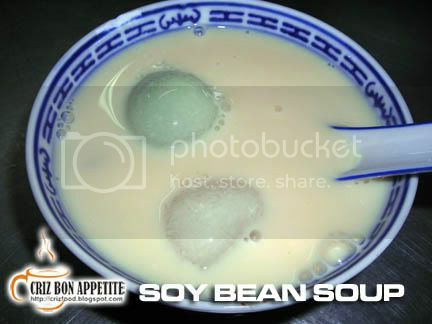 We ordered two bowls of the Tang Yuan with soy beans and red beans soup base. Here is how they look like. Finding the stall might be a bit troublesome if you do not know the location well. If you are traveling through Jalan Dato Keramat into Jalan Perak, drive straight pass the Jalan P. Ramlee traffic light, straight again at the Sum Sun Primary School, Jalan Free School traffic light. 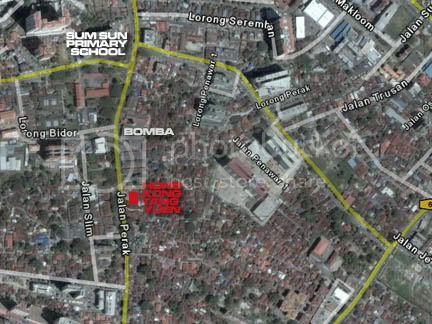 As you pass the traffic light, you will see the Bomba HQ on your left. Move ahead about 400m and you will see another traffic light. The stall is in front of Kafe Aik Hwa right before the traffic light on your left. Parking might be a problem if you are driving a car but you can always try parking at the lane before the stall.